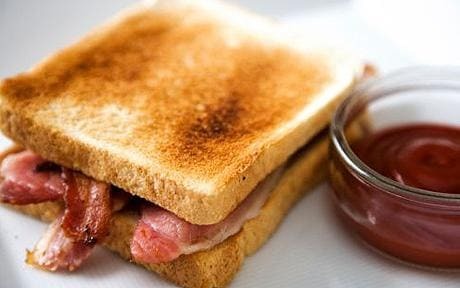 Bacon sandwich really does cure a hangover: "A bacon sandwich really does cure a hangover - by boosting the level of amines which clear the head, scientists have found." Researchers claim food also speeds up the metabolism helping the body get rid of the booze more quickly. Elin Roberts, of Newcastle University's Centre for Life said: "Food doesn't soak up the alcohol but it does increase your metabolism helping you deal with the after-effects of over indulgence. So food will often help you feel better.